Artbeat Studio at Hockey Talks on Thursday, February 11, 2016. 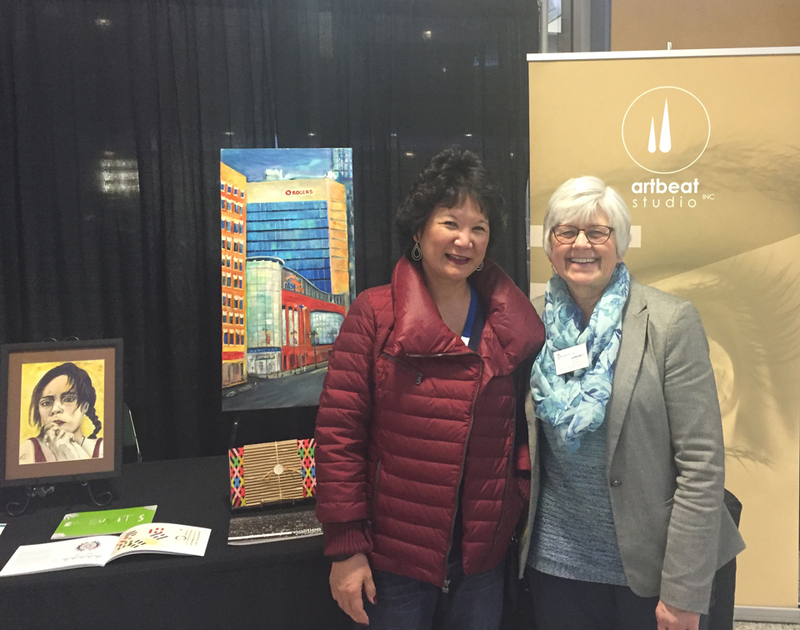 Debbie Harasym (The Winnipeg Foundation) and Lucille Bart (Artbeat Studio). Hockey Talks is a part of a collective effort with each of the Canadian NHL clubs to bring awareness and reduce stigma associated with mental illness. It also identifies resources available to those in need of help or support. On Thursday, February 11, 2016, Artbeat Studio was invited to engage with spectators at the home game of the Winnipeg Jets against the Boston Bruins. Artbeat Studio alumni artist Jamie Hogaboam joined Lucille Bart, Ernie Bart, and Jan Nato to spread the Artbeat Studio message of healing and empowerment through creative endeavour.